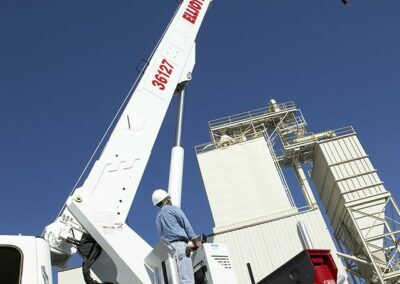 Elliott HiReach and BoomTruck models are uniquely qualified for even the most specific jobs like managing concrete forms and placing delicate materials at height. All Elliott products are built to last with the best components available and are backed by our Lifetime Structural Warranty. 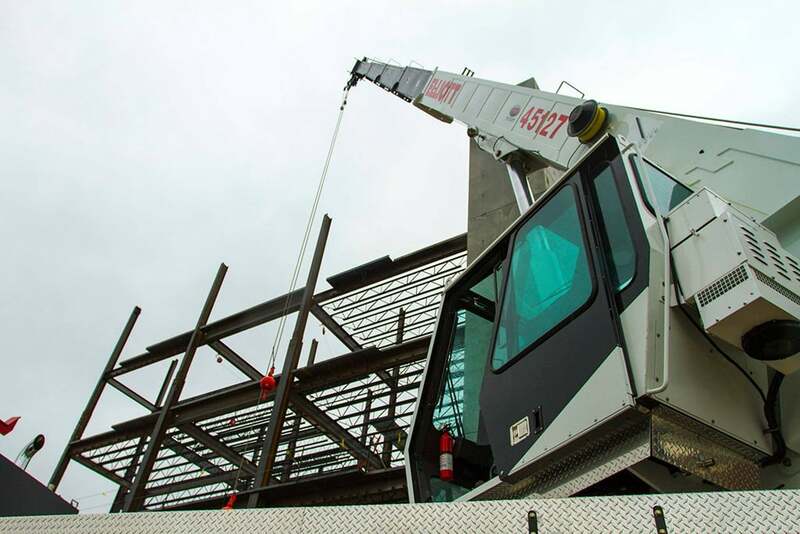 Our diverse product line provides a wide range of solutions for a variety of construction jobs that require material handling, personnel access and specialized materials transportation to and from the job site. Take advantage of patented features like Elliott’s SuperLink ‘A’ Frame outrigger short jacking option, or our standup ride-around open control station to maximize performance and versatility. Plus, we will work with you to customize your machine for your application. Whether you need a longer flatbed, a unique crane mount configuration or a high-visibility control setup, we have you covered. 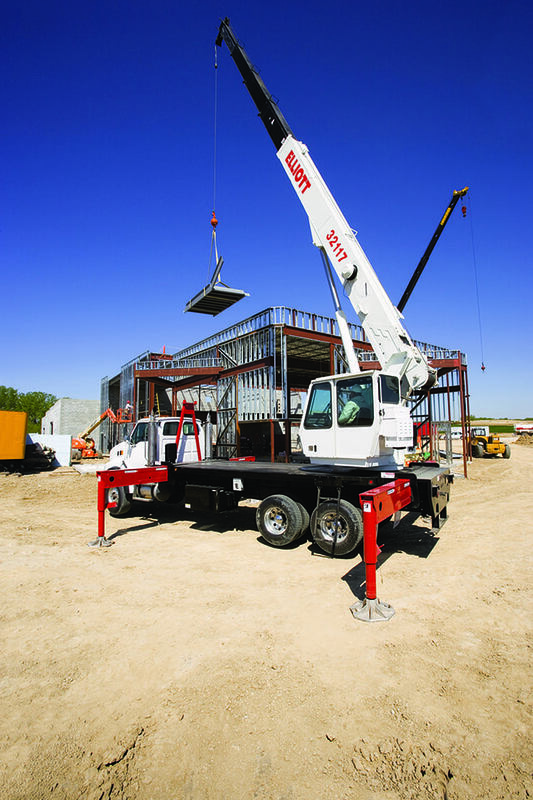 Fixed, Ride-Around and Enclosed Cab Controls Elliott’s 10- to 50-ton BoomTruck line offers a wide variety of control arrangements to fit your specific needs. Our controls are designed to maximize operator comfort and efficiency on the job. 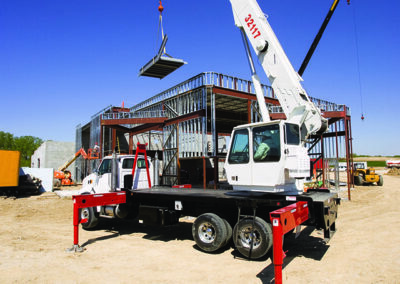 Customized Outriggers for Complex Ground or Setup Conditions Construction jobs aren’t always in the easiest locations, which is why Elliott offers multiple outrigger configurations to accommodate tight spaces, obstacles and more. Full Hydraulic Controls Elliott’s BoomTrucks are available with full hydraulic controls for both fixed and swing cab machines to maximize performance and provide a smoother, more responsive feel. Heavy-Duty Large Baskets on HiReach Aerial Work Platforms Elliott’s HiReach products are equipped with two- or three-man baskets with high capacities to handle even the most difficult job with ease and without requiring additional equipment. Accessories that Make Your Job Easier With Elliott, you can build a machine that fits your needs. Choose from special bodies, tool boxes, hydraulic accessories, tool packages and other truck options to maximize your productivity. Elliott’s engineering group can design custom subframes, boom rests, beds and bodies to accommodate pipe racks, trailers and custom load configurations. 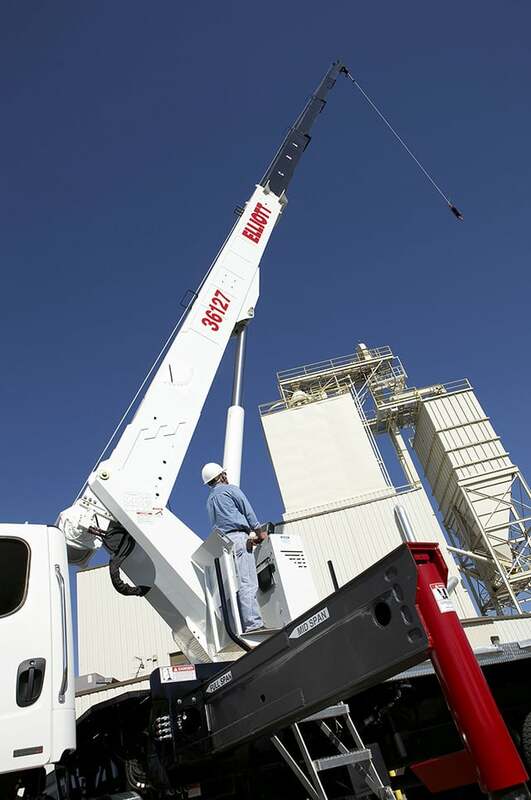 Lift loads with precision or at height using a winch cable instead of a crane hook. 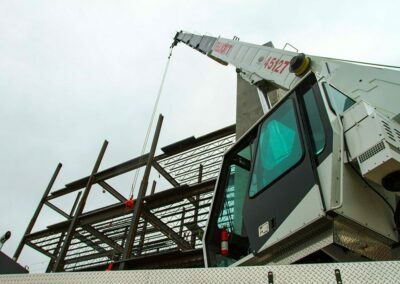 Patented Standup Ride-Around Control Console on 30-36 ton BoomTrucks reduces cost and improves operator visibility in lieu of a crane cab or fixed controls. Federal bridge-legal crane configurations up to 45 tons for permit-free travel. ‘SuperLink’ patented A-Frame outrigger option allows short-jacking 10-26 ton BoomTrucks without diminished load chart capacity. 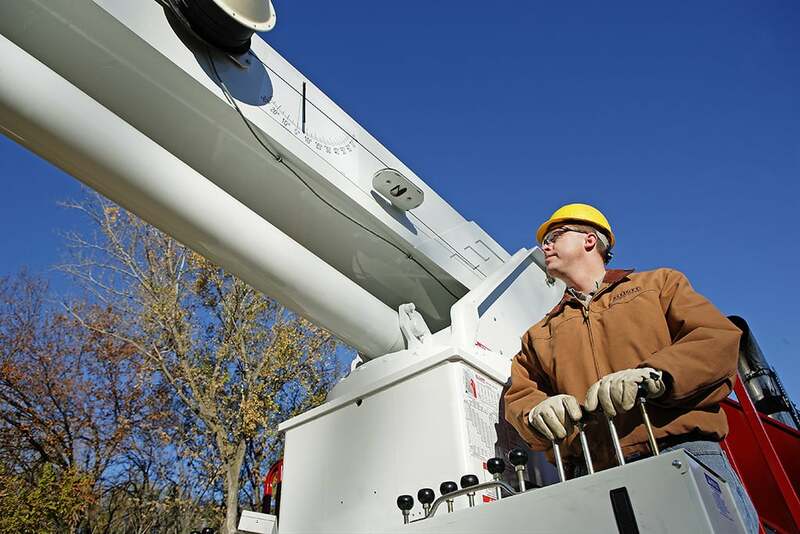 HiReach models have a large two-man platform with open rails for improved access on the job. Strongest HiReach turret to turret box connection (most turret bolts and widest diameter). Much more, to help you do your job your way.